When they heard this, they raised their voices together in prayer to God. the place where they were meeting was shaken. Notice they prayed for boldness then they spoke with boldness. My son Alexx and God’s Word was this inspiration for this post. 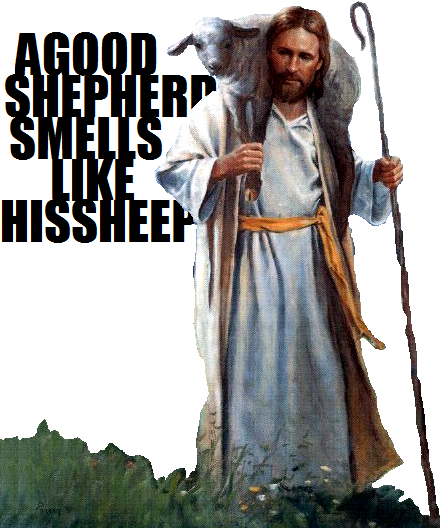 Zechariah 9:16 says on that day the LORD their God will rescue His people, just as a shepherd rescues his sheep. They will sparkle in His land like jewels in a crown. what a relief this is when considering the strife this world can offer. There are days in which I feel lost to a point of no rescue and it seems as though the world is working against me. I have moments when I feel like a helpless sheep captured by a wolf. But there is always hope for God will rescue His people as a shepherd that cares for every individual sheep in his flock. No matter how hard things get only one thing matters, do you believe that God will rescue you? The fellowship i enjoy with my son reminds me of the Christ-like encouragement i got when i was a teen from brothers & sisters in the Lord. I don’t take it for granted, it is unfortunately uncommon to share the same faith with someone who is on the same page, that page is only found in the pure word of God. The Bible is full of instructions from God. If I were to point out every detail this would be one long post so i am praying this will be just a “mother of a post” giving birth to what The Holy Spirit may say to the reader. This all comes from parts of James 2, 1st John 4 and Galatians 5. It’s not short because the Lord laid a lot on me & i captured it all here. You believe that God is one; you do well. Do I hear you professing to believe in the one and only God, but then observe you complacently sitting back as if you had done something wonderful? Demons do that, but what good does it do them? Do you suppose for a minute that you can cut faith and works in two and not end up with a corpse on your hands? Even the demons believe—and shudder! [in terror and horror such as make a man’s hair stand on end and contract the surface of his skin]! Are you willing to be shown [proof]? The Scripture was fulfilled that says, “Abraham believed God, and it was counted to him as righteousness”—and he was called a friend of God. You see that a person is justified by works and not by faith alone. YES, justified by grace but thought faith IN OUR LORD JESUS CHRIST. You see that a man is justified (pronounced righteous before God) through what he does and not alone through faith [through works of obedience as well as by what he believes]. And in the same way was not also Rahab the prostitute justified by works when she received the messengers and sent them out by another way? We can say i am a believer all we want but it is the fruit we bare that says if our actions match our words. Christian, you are of God [you belong to Him] and have [already] defeated and overcome them [the agents of the antichrist], because He Who lives in you is greater (mightier) than he who is in the world (1 John 4:4 AMP). Being a real life, Christ-like person is a life style. We are not like the typical world whose whole economy & moral structure is different. What most people consider to be of great value (just materialistic ‘stuff’) we see as temporal. We are children of God. Whoever is learning to know God progressively in order to perceive, recognize, and understand God does so by observation and experience. We strive to get an ever-clearer knowledge of Him. By this we know (recognize) the Spirit of Truth and the spirit of error. Beloved, let us love one another, for love is from God it springs from HIM! WHOEVER loves his fellowmen is begotten (born) of God and is coming progressively to know and understand God. We perceive and recognize and get a better and clearer knowledge of Him. Those we know, even if a “Church goer” who don’t simple display real love (1st Co 13 type love) Then they do not and never did know Him, for God is love. The love of God was displayed by God sending His Son, the only begotten or unique Son, into the world so that we might live through Him (Jn 3:16). If God loved us so very much, we also ought to love one another. No man has at any time [yet] seen God. But if we love one another, God abides (lives and remains) in us and His love (that love which is essentially His) is brought to completion (to its full maturity, it runs its full course, is perfected) in us! That is how we come to know, perceive, recognize, and understand that we abide (live and remain) in Him and He in us: because He has given (imparted) to us of His [Holy] Spirit. Those inspired to write deliberately and steadfastly contemplated and bore witness that the Father sent the Son as the Savior of the world. So rest a sure, we know, understand, recognize, are conscious of, by observation and by experience and believe or adhere to, put faith in and rely on the love God cherishes for us. (1 John 4:5-16, 19-20 AMP). May people see God’s Character in me. I truly believe Jesus displayed His Father’s ways and i believe i am filled with HIS Spirit so i also show all those same unconditional attributes to others. It is up to each individual to live their lives pleasing before God. GOD & GOD ALONE WILL DECIDE who is & who isn’t real in word & deed. Trying not to be quality control & judgemental i just got to be who HE wants me to be & you be like HIM, not like me. When you read these verses about joy you may ask 1 main question, how? By the Time you get to end I hope you will have the answer to that question and I will grow & develop a deeper joy, when joy seems like the very last thing we could possibly have when we lose a loved one or when in deep painful times life seems to dishes out to us. If the suffering is because we are being persecuted for our beliefs that is even more admirable but you’ll notice regardless of the reasons, if we are suffering consequences or going thru undue, unmerited troubles & struggles for any reason we can have joy & should seek for it it is one of the characteristics of God, His Spirit in us so we must be filled. I know 1thing, if we allow His Spirit to take us over then surprisingly we’ll notice joy regardless of a normal joyless situation . Joy is a fundamental part of the Christian faith. And your joy grows through encountering God and meditating on His Word. The following verses, when memorized, or better yet, internalized, can help to increase the joy in your life! Let your life be transformed by the Holy Spirit, memorizing scripture never hurts but we can also post verses around us, our night stand, bathroom, car, bed, office …where ever you are bound in bed or spend time. Remember you may not always smile but as burdens are lifted many times we’ll find that peace & joy can be seen in us. His word can bring comfort & joy. When your words came, I ate them; they were my joy and my heart’s delight, for I bear your name, Lord God Almighty. That is our 6th verse. I’ve notice so will try to steal our joy but Jesus gives it. There is a time to mourn but also a time to be joyful. ECCL. 3 REMINDS US THERE IS A TIME FOR EVERYTHING. As we overcome tragedies & joyless times it allows others to see that with Christ we gain the ultimate victory. Always? Yes, because our joy is in Jesus not on our present circumstances. My joy is only found in HIM and as long as I remember that & you claim it for you we will truly beam for HIM. My dear friends, don’t let public opinion influence how you live out our glorious, Christ-originated faith. If a man enters your church wearing an expensive suit, and a street person wearing rags comes in right after him, and you say to the man in the suit, “Sit here, sir; this is the best seat in the house!” and either ignore the street person or say, “Better sit here in the back row,” haven’t you segregated God’s children and proved that you are judges who can’t be trusted? Listen, dear friends. Isn’t it clear by now that God operates quite differently? God does operates quite differently. He chose the world’s down-and-out as the kingdom’s first citizens, with full rights and privileges. There are no “clicks” in the kingdom! This kingdom (God’s kingdom on earth as it is in heaven) is promised to anyone who loves God. And here you are abusing these same citizens! Isn’t it the high and mighty who exploit you, who use the courts to rob you blind? Aren’t they the ones who scorn the new name—“Christian”—used in your baptisms? But if you play up to these so-called important people, you go against the Rule and stand convicted by it. You can’t pick and choose in these things, specializing in keeping one or two things in God’s law and ignoring others. The same God who said, “Don’t commit adultery,” also said, “Don’t murder.” If you don’t commit adultery but go ahead and murder, do you think your non-adultery will cancel out your murder? No, you’re a murderer, period. For if you refuse to act kindly, you can hardly expect to be treated kindly. Kind mercy wins over harsh judgment every time. Being real means not putting on airs, not blowing out hot air & breathing the same air of The Holy Spirit. Don’t take my word for it read & apply God’s word. let anger straggle along in the rear. God’s righteousness doesn’t grow from human anger. So throw all spoiled virtue and cancerous evil in the garbage. In simple humility, let our gardener, God, landscape you with the Word, making a salvation-garden of your life. Don’t fool yourself into thinking that you are a listener when you are anything but, letting the Word go in one ear and out the other. Act on what you hear! Those who hear and don’t act are like those who glance in the mirror, walk away, and two minutes later have no idea who they are, what they look like. But whoever catches a glimpse of the revealed counsel of God—the free life!—even out of the corner of his eye, and sticks with it, is no distracted scatterbrain but a man or woman of action. That person will find delight and affirmation in the action. Anyone who sets himself up as “religious” by talking a good game is self-deceived. This kind of religion is hot air and only hot air. Growing up i had a drug problem, my parents drug me to Church. That’s a running joke i’ve shared probably too many time for those who are around me the most but i go on to say, i am grateful for my up bringing, however, it wasn’t until i was older that i realized there is so much more to life than going to Church. MEETING for an hour or two with other believers can be so much more. everyone’s relationship with their Heavenly Father is as different as their relationship with their earthly father. Getting saved or born again and a life of holiness is a process not a one time shot or happening that takes place any more than when we are born into this world the 1st time. My son Alexx sends a morning & nightly devoted thought i call a “DEVO”. Which is about the LORD giving a message to Jeremiah while he was still in prison. There is beauty in being able to communicate one on one with our LORD. You see, when Jesus died He literaly tore the vail that stood between us and our God allowing us to communicate directly with God on a personal level through Jesus rather than through a third party (like Jeremiah, the prophets of old, or humans appointed as high priest). We can now communicate with God anytime anywhere; in prison, at home, in sin or in righteousness. I have found in personal experience that it is best to have a constant line of communication open with God at all times in all places. This Devo my son shared brought truth & comfort to me. How blessed we are to have opportinity to listen to God as He speaks directly to our hearts, thought His people or through His word. We call, He answers & speaks, we must listen. Next Jesus let fly on the cities where he had worked the hardest but whose people had responded the least, shrugging their shoulders and going their own way. 27. Jesus resumed talking to the people, but now tenderly. I think it is time, over due time, to come to Jesus Christ, go to HIM, rather than ‘go to church’. Let’s be the Church not just go to it. We were never meant to be just an address. Jesus realized that the Pharisees were keeping count of the baptisms that he and John performed (although his disciples, not Jesus, did the actual baptizing). They had posted the score that Jesus was ahead, turning him and John into rivals in the eyes of the people. So Jesus left the Judean countryside and went back to Galilee. On His way he went through Samaria (normally people who were of the Jewish race & religion would walk around that area to avoid any Gentiles or Samaritans) Also, traditianally Jewish men would not speak to Samaritain women. We see Jesus breaking both if those restrictions as he approached a women at a well. “Believe me, woman, the time is coming when you Samaritans will worship the Father neither here at this mountain nor there in Jerusalem. You worship guessing in the dark; we Jews worship in the clear light of day. God’s way of salvation is made available through the Jews. But the time is coming—it has, in fact, come—when what you’re called will not matter and where you go to worship will not matter. “It’s who you are and the way you live that count before God. 4 But if a widow has children or grandchildren, these should learn first of all to put their religion into practice by caring for their own family and so repaying their parents and grandparents, for this is pleasing to God. Church, ‘those considered religious’, are we doing this? How, literally in Christ name calling ourselves ‘Christians’, did we come to meeting at 11A.M. on Sunday and call that church rather than call ourselves ‘the Church’ and actually do something Christ-like? I never understood it and I’m not sure I ever will. It is my prayer that 6 out of 7 days in a week we would preach with our actions the life style of Jesus Christ while meeting human need without discrimination then truly rest on the 7th day.